Liverpool’s no.10 Coutinho is sadly injured right now with an ankle ligament problem and we’ll be lucky to see him on the pitch again in 2016. But his fantastic performances this season to date are still being discussed, with his international manager Tite taking time to laud him. Under the veteran manager’s guidance, Brazil have won every World Cup qualifier and currently sit top of the South American group. Part of the reason for this is that Coutinho has usurped Chelsea’s Willian in the pecking order and now starts, in a breathtaking front-three including Manchester City bound Gabriel Jesus and Neymar – who’s on course to break Pele’s Brazil goal record. 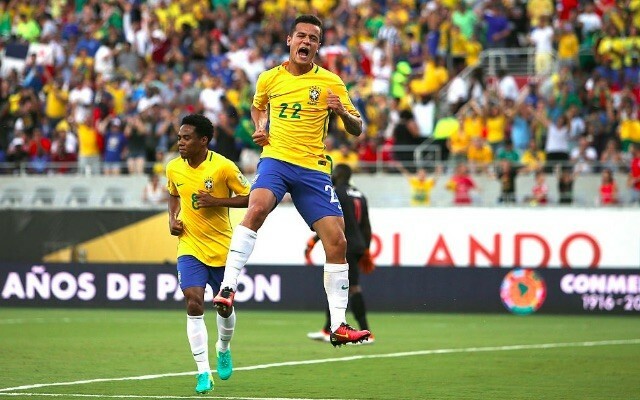 Due to these star players, Tite has had to use Coutinho from the right, rather than the left, but he doesn’t think it takes anything away from the 24-year-old. “In Liverpool he plays floating in from the left side but I am going to train him to come in from the right side too,” he told Brazilian TV Channel Bola Vez. “I want to generate more creativity in our midfield and doing it from the right. “After 2-3 training sessions I called [Coutinho] aside and asked him how he felt about this new role. He said he is feeling fine and had no problem with it. Irritatingly, Coutinho had only just returned from a lengthy international break when injury struck, meaning he’s going to miss a heap of Liverpool fixtures and none for Brazil. The next set of fixtures is in February, where Coutinho should be up and running again.